Breakfast Now Included With Your Stay! The discussion of door knobs was in the news a few years ago – yes doorknobs. In 2014 The City of Vancouver – the only city in Canada with its own building code – decided “universal design” will take precedent over aesthetics and in March of that year banned door knobs in all new construction in favor of lever-style handles. Vancouver City Hall was designed by architects Townley and Matheson and constructed in 1936. The Vancouver based architectural firm also designed many movie theatres including the c.1949 Paramount Theatre in Chilliwack. 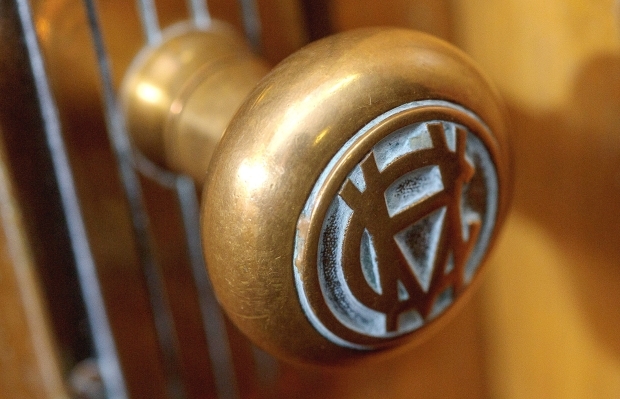 The original brass monogramed door knobs were part of the overall design and aesthetics of the art-deco inspired City Hall. 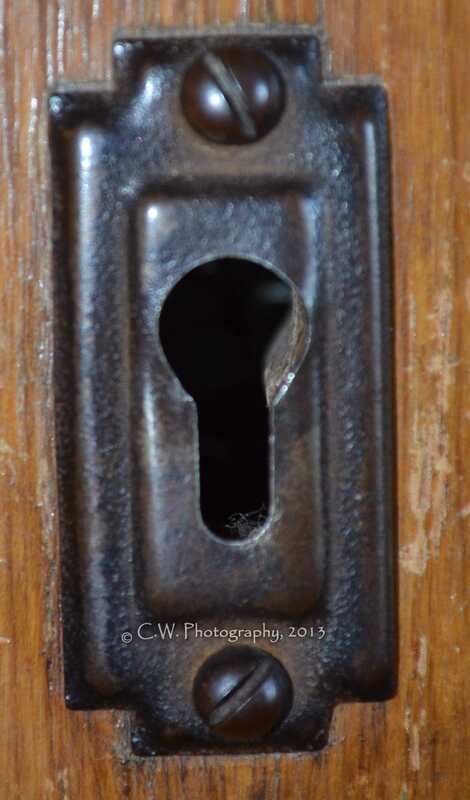 The original knobs that adorned city hall doors for 77 years have been removed. To take a peek at the history of the door knob I consulted the Schlage website. The Schlage Company has been in the door knob and lock business since 1920 and according to their website wooden doors and handles first appeared approximately 5000 years ago. 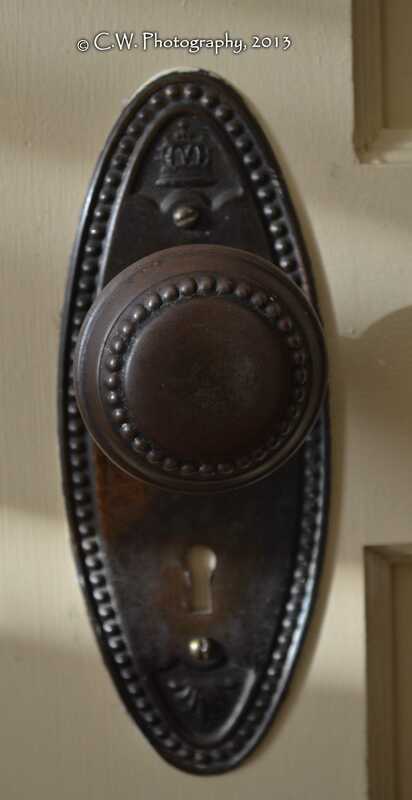 Here is a link to their website for a more in-depth look at door knobs. 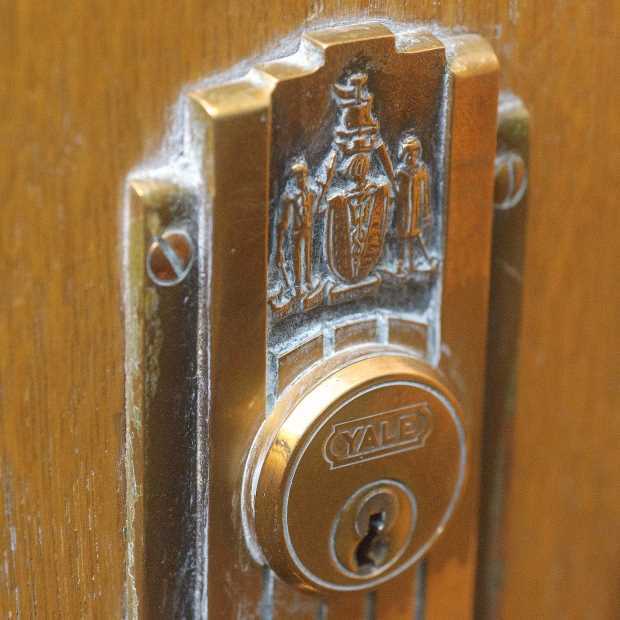 At the Royal Hotel in downtown Chilliwack, you will still find original door knobs installed over one hundred years ago when the hotel was built in 1908. In fact, some of the locks are still opened with original skeleton keys. If you are looking for a unique place to stay full of local history and architectural features (like doorknobs and claw-foot bath tubs) the Royal Hotel in historic downtown Chilliwack certainly fits the bill.